Mahe Mehr means the “month of September”. This is time when Iranians go back to study after the summer break. Mehr comes from the Zoroastrian god of covenants and thus an guarantor of truth. 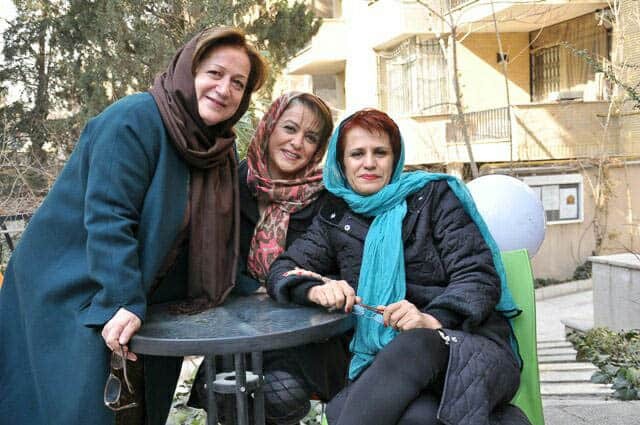 The Mahe Mehr Cultural Institute was established by Tehran gallerists Aria Eghbal, Elaheh Javahery and Mozhgan Valipour. It aims to fill a perceived gap in the government art education, particularly awareness of theoretical concepts guiding the course of artistic development. It began in February 2005 with only eight students. It has since taught approximately 10,000 and employs 28 staff. Many of the professors are already well known in the art field, including the celebrated and recently departed film director Abbas Kiarostami. Courses include painting, sculpture, photography and jewellery. There are also a number of theory classes the cover the modernist trajectory leading to postmodernism and the contemporary. At the same time, the Institute conducts its own research projects. One current focus is the third century prophet Mani who is one of Persia’s first major artists. 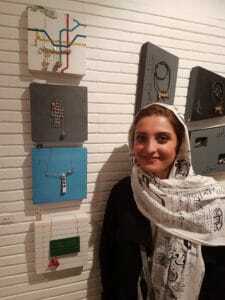 Mahrooz Beladi, graduate of Mahe Mehr Institute at the exhibition of art jewellery celebrating the Day of Tehran. The institute maintains an international profile. Ana Eghbal was recently appointed AJF Ambassador for contemporary jewellery in Iran. The high level of skill, rich design history and poetic sensibility promise to make a unique contribution to this field. The first university painting course in Iran began 60 years ago. This has lead to a considerable gain in experience and potential. This has produced several generations of distinguished artists that have been highly admired both nationally and internationally. However, there has been a lack of retrospection and Iran has not kept up with international developments and lost the momentum for improvement. Many academics are under-utilised, but find further opportunities at Mahr Mehr. Mahe Mehr will provoke the evolutionary cycle of artist training and creation of artworks in Iran to be more powerful, dynamic and competent.